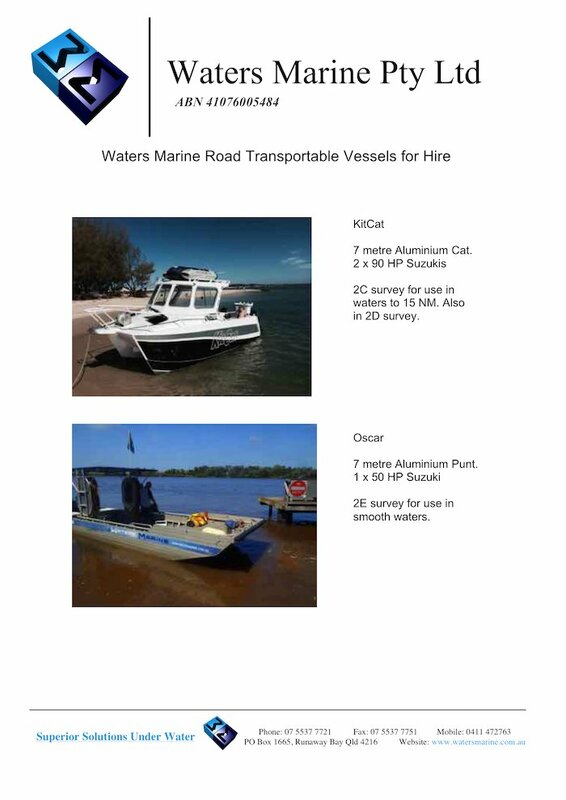 Waters Marine Pty Ltd is a Family owned and operated business, based on the Gold Coast Queensland for the past 20+ years. 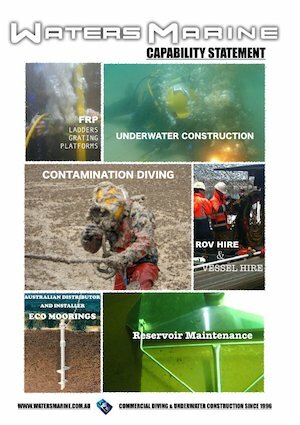 We specialise in the provision of Commercial Diving and Underwater Construction services, including large scale complex projects and specialist services to local Government Agencies, Water Utilities and Construction and Engineering groups Australia wide. Safety remains a focal point of operation for Waters Marine, therefore we strictly comply with state regulations and Australian Standards. 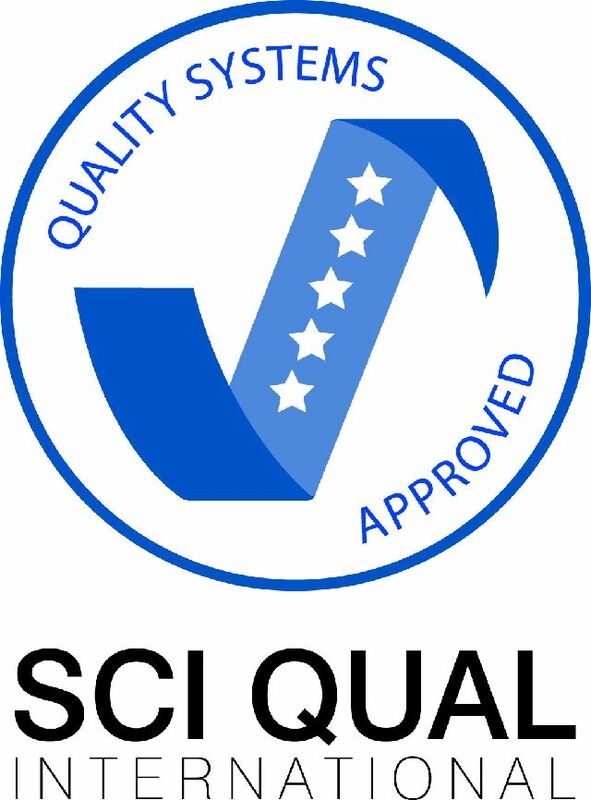 We are a certified quality assured company for ISO 9001 2015. Waters Marine is based on the Gold Coast, where we have been operating since 1996. We are well situated, for coastal and inland diving throughout eastern Australia, and regularly travel inland. 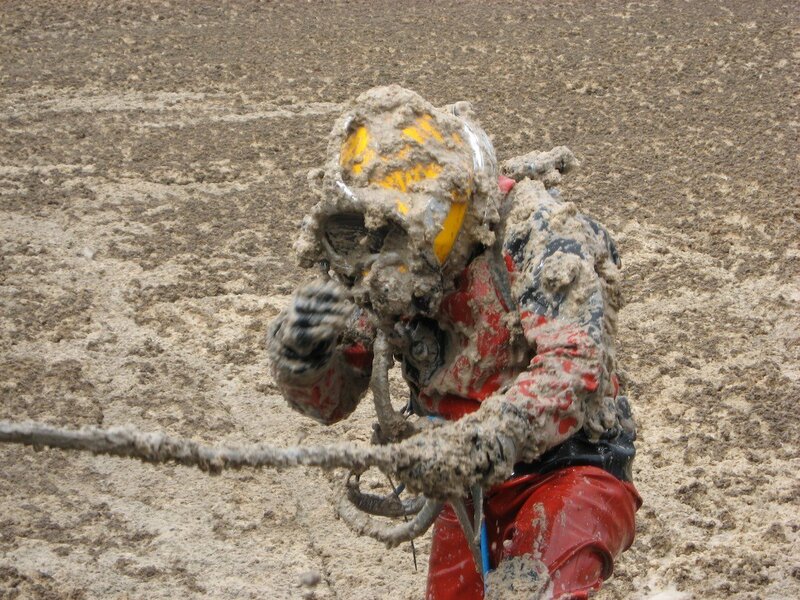 Diving in contaminated environments requiring protection of the diver from harmful substances. Contaminated diving requires the use of fully enclosed suits and helmets. Waters Marine has contracted to councils water authorities and abbatoirs for work in sewer treatment plants and aeration ponds. Reservoir hygiene is an important part of our role in potable water facilities. Click here for more information on Cleaning, Inspections, FRP Products,Confined Space, Leak Detection and Repairs. 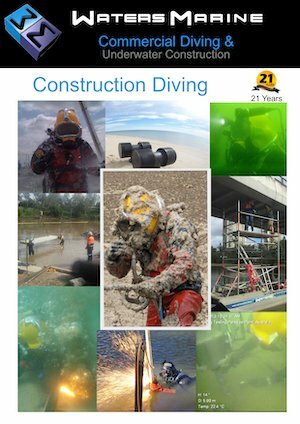 We regularly enter confined spaces for diving and non diving situations. We are a unique skill set, where our background occupation has seen us enter many environments where breathing is not possible. Our core dive staff are trained for diving under the internationally regocnised ADAS diving system. We are also trained and certified for confined space entry, confined space supervision, confined space rescue, and working at heights. 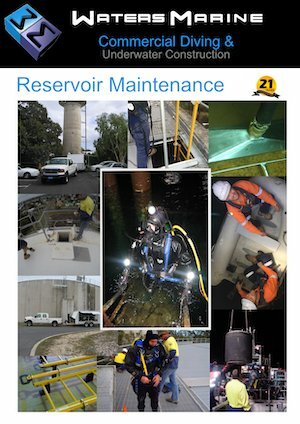 Our equipment is often used for entering water reservoirs, pipework, river intakes, sewerage structures, weirs. Our service can provide confined space supervision for engineers, or other speacilty services, or we have divers, fitters and welders, who are proficient at carrying out repairs on equipment in the confined space. 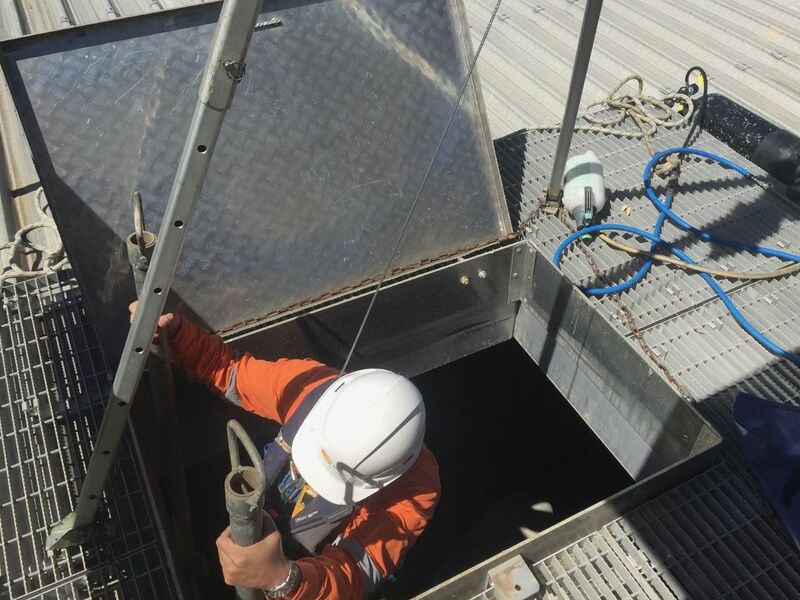 We specialise in entering those confined space places which are a bit out of the eordinary for most occupations, and with a diving background, we are experts at figuring out solutions in hazardous environments. The term ROV refers to Remotely Operated Vehicle. ROV’s are popularly used for underwater projects, where they are tethered to the surface, and controlled by a ROV pilot. . ROV’s are particularly useful because they have no depth restrictions which may limit divers, no depth time limitations, ability to enter dangerous and small spaces or contaminated water, and very good quality video. Waters Marine’s own Video Ray Pro 4 ROV, has been operating as part of our sevices for the past five years to inspect – pipes, water tanks and other structures in dams and rivers throughout Queensland and New South Wales. We also provide a DVD or thumb drive copy of the inspection, as soon as the inspection is complete for the client’s records. Waters Marine’s ROV can reach depths of 300 metres. It has two high quality video cameras with still capability, adjustable lighting, two forward thrusters and one depth thruster. 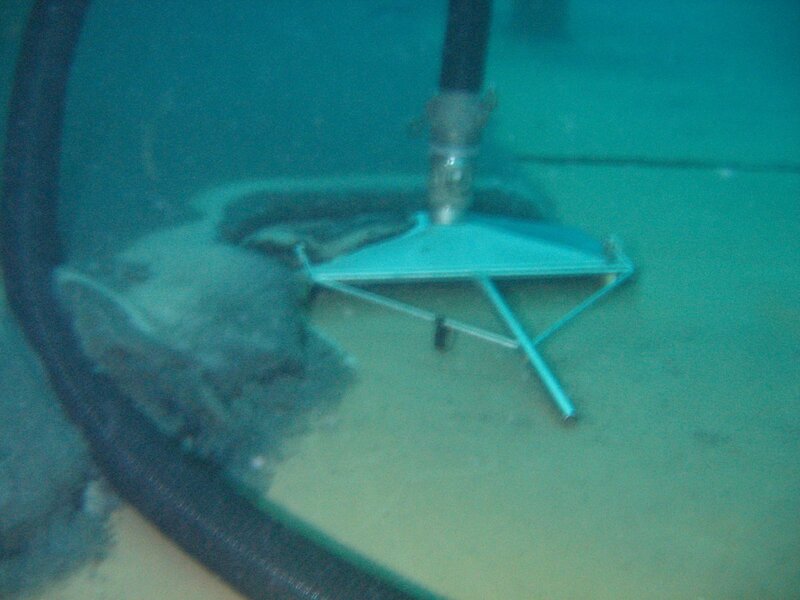 A manipulator arm at the front of the ROV can hold small items when found on the sea bed, or attach tools such as probes and metal thickness gauges. Sonar can also be fitted for low visibility water. With mooring experience dating back to 1990, there are not too many companies with our knowledge of what does and doesn’t work with moorings. We offer mooring installations from new, upgrades to older moorings, and offer routine programmed mooring inspections. We can install environmental moorings with a helix screw or clump weight anchor. The in water section is usually a custom made rope section with an elastic core, which offers a superior shock absorber under water. We can then fit this to the surface float of your choice. Our vessels are set up to make mooring work a lot easier. We have winches, small cranes, and stable work platforms for the job. We can install one mooring for the average swing mooring, or a large mooring field for yacht clubs or marinas. Our mobile drill equipment can even work off other boats, meaning we can travel to anywhere in the world if required. Jody began commercial diving in 1990, and formed Waters Marine in 1996. 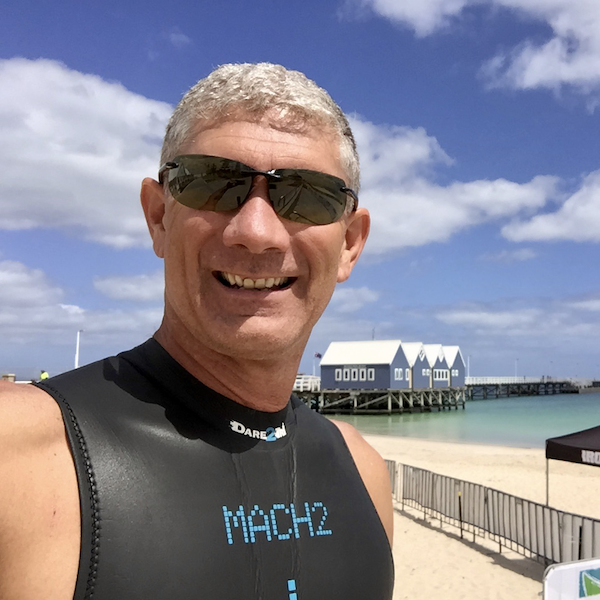 Jody’s qualifications include AS2299 diver & supervisor, Padi Instructor, coxswain, confined space, working at heights, various equipment inspector certificates, senior first aid, OH&S QLD & NSW safety cards, as well as other machinery proficiencies. As diving occupation sees us regularly underwater, this makes customer communication pretty much impossible. As the managing director, Jody spends most days communicating with our customers, and ensuring the divers are prepared for the work ahead. Angela has been part of the company since the very early days, and manages the accounts, reports and invoicing. Angela also has some relevant training in her role, with a background in recreational diving, growing up around boats, and several years working on cruise ships. 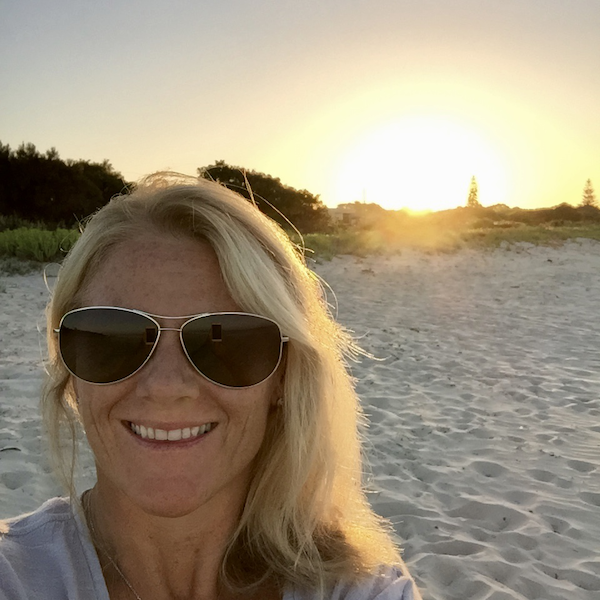 Her qualifications include Padi diver, Business studies, Various international safety at sea certifications, as well as taking time out for computer and accounts training. 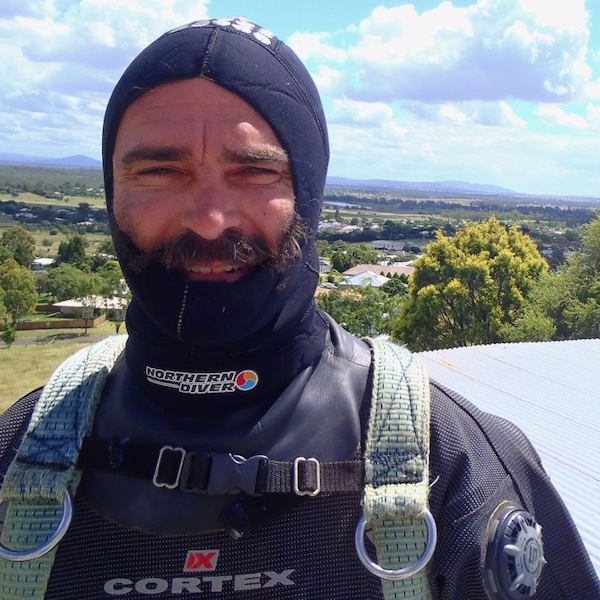 Dai has worked with Waters Marine and other Brisbane dive companies since 2005. He also has experience diving and working as a fitter and supervisor, at Consolidated Rutile Mine on North Stradbroke Island since 2001. Before taking up commercial diving, Dai also worked and ran his own business as a Boilermaker and Blacksmith. Dai has enjoyed working at Waters Marine full time since January 2011, and has also completed his ADAS supervisor course. Tom started university studying engineering, but after a couple of years of uni, he wanted to move outdoors for a change. 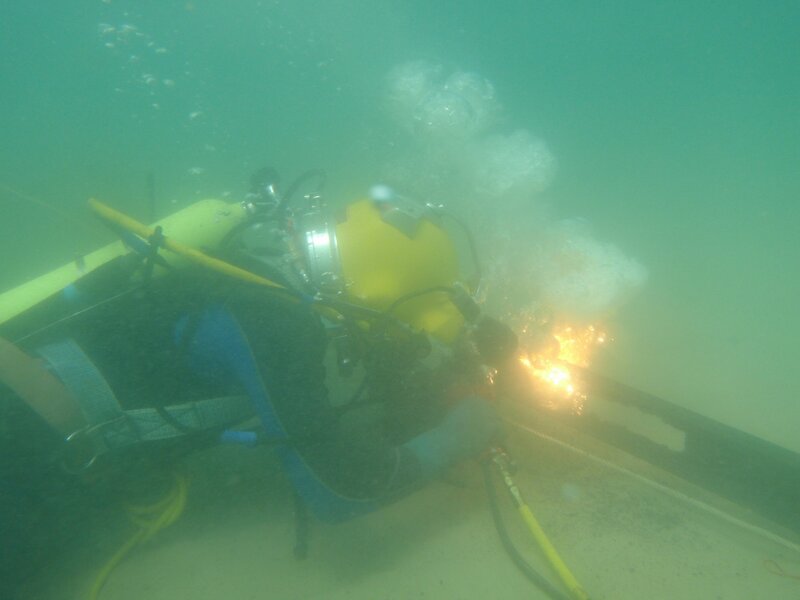 He quickly found a career in commercial diving in 2005, and within 6 months of completing his dive course, he started with Waters Marine where he has been since. 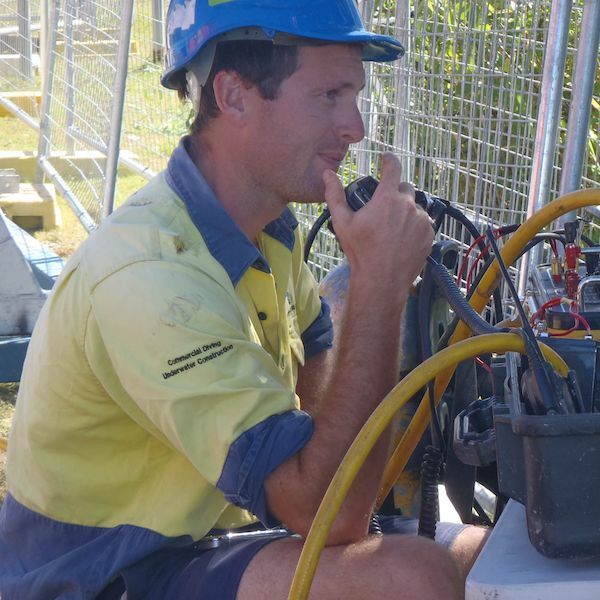 In 2008 Tom completed his ADAS supervisor course, and has worked with us as a diving supervisor in Queensland, NSW and Victoria. The end of 2018 will see Tom finish his Engineering degree. Last Friday was a success with the flood test. QUU was onsite and very happy with how things went. Thanks for the effort in making this all come together. Many people to arrange and despite issues with the EWP’s all went very well. Thanks for the great job the boys did at such short notice. Thanks very much for your quick and professional handling of this situation. I was impressed with Dai and his team. Safe and with a “can do” attitude. Always a pleasure working with your staff, very professional. We hope to have the remaining units pulled out tomorrow.